Titan Quest is a real-time combat-focussed fantasy computer role-playing game set in beautifully illustrated mythological versions of Greece, Egypt, Babylon, China and (in the Immortal Throne expansion) the Underworld/Hades of Greek mythology. The fantasy game artwork was praised as being of extremely high quality. After the Immortal Throne expansion, and despite being critically acclaimed, Iron Lore closed. 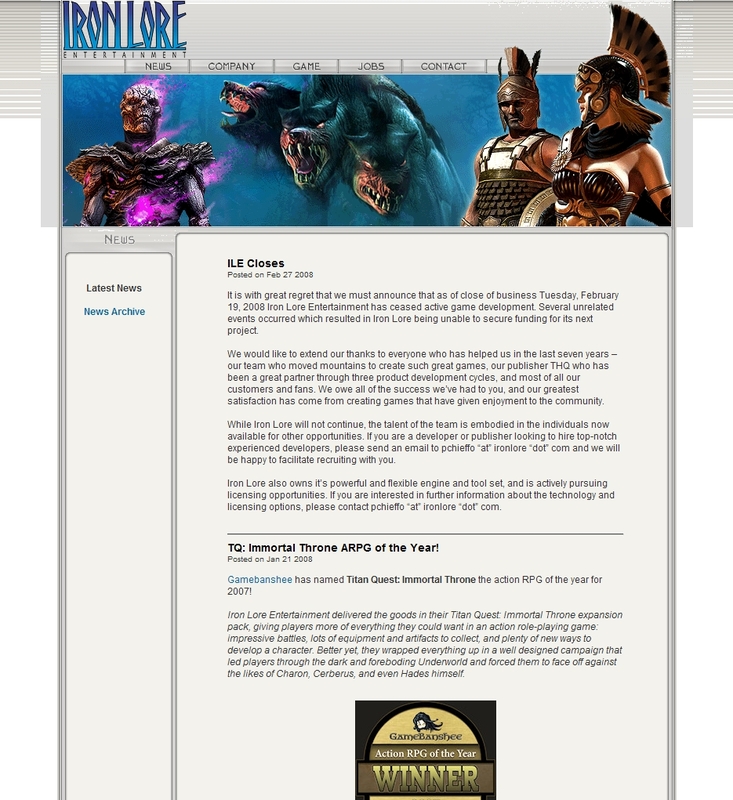 A bitter letter posted on a forum cited PC software piracy as the main reason. Buy Titan Quest bundled with the official expansion. Without Immortal Throne, you'll be missing out on not only the expansion game areas but Advanced Graphics Effects throughout Titan Quest. If you buy the Titan Quest Gold Edition, you should know that the publisher encountered a manufacturing glitch. If you're installing Immortal Throne in English and it won't validate your serial number, try the serial number for the French CD. Also highly recommended is the unofficial patch, which fixes a lot of little bugs and oversights as well as the flawed placement of some map objects (which can slow down the game considerably even though no graphics glitches may be visible).